The Highlands Ability Battery is the gold-standard among tools assessing human abilities or aptitudes. Developed from the pioneering clinical studies of Johnson O’Connor, it is a three-hour objective inquiry into the abilities and ability patterns of the individual who completes it. The Battery consists of nineteen different worksamples. Each worksample is timed to measure the speed with which the individual is able to do a particular series of similar tasks. The individual’s score on each worksample establishes whether a particular task is more or less easy for that individual. Shown together on a personal profile and bar chart, the scores achieved by each individual reveal patterns or “clusters” of abilities which require analysis by a skilled interpreter. Once these patterns or “clusters” are understood, the individual is helped to guide his life and work into more productive and satisfying channels. Your Highlands Ability Battery assessment can be completed at your own pace on your own time on your own computer. The cost for the Highlands Ability Battery package, which includes the test, a detailed report, and a two hour feedback session, is $450. Feedback is conducted in person or over video-conference. 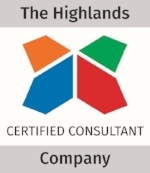 If you are interested in learning more about the Highlands Ability Battery or arranging to take it, please contact me by phone or email.